I am not sure of what the percentages are for kids who do not like Halloween but as a child, it was never my favorite holiday. I’m not sure why exactly but the only explanation I can come up with as an adult is it scared me. I’ve never been a fan of the creepy scary Halloween characters or costumes. If I had to dress up, I was more than likely going to pick something more on the glamorous side, Hollywood starlet, Roaring 20s and if all else fails, Betsy Ross. Well that wasn’t quite my idea. In 1976, the year of our country’s centennial, my mom decided to get her “DIY” on and make my sister and me Halloween costumes. That year, we would both become Betsy Ross… complete with the Flag and all! I was about 10 years old and my sister was 7. So, as you can imagine, we were both so thrilled to be wearing this one or two of a kind handmade costume. By the way, did I mention that neither one of us really knew who Betsy Ross was? Oh, don’t worry, we had a quick history lesson and then a look at the outfit. Being that my sister was too young to understand that what we were about to wear for Halloween would be the most uncool thing imaginable, I was the only one suffering in silence. My mother worked on our costumes for hours. I’m not kidding. When we got home from school, she would make us line up, measuring every part of our body, jotting numbers down and running back to her sewing machine. Oh, and the best part is my mom did not sew. Seriously, nothing. My dad did most of the sewing in the house. From buttons to hems, he was our personal seamstress. But my Mom was really determined to do this. I’m not sure what possessed her to want to do this but now as a mom, I get it, I finally get it. Not only did my mom finish both of our costumes on time, my sister was featured alongside two other classmates decked out as George Washington and The Statue of Liberty in our local town newspaper. Like I said, it was our country’s centennial and everyone was featuring different activities to celebrate. Yes, my mom was in her glory, she was so proud of herself and rightfully so. Thinking back on it now and during this time of the year, I appreciate her caring so much about us to go out of her comfort zone and make our Halloween costumes special. That’s the kind of mom she was. 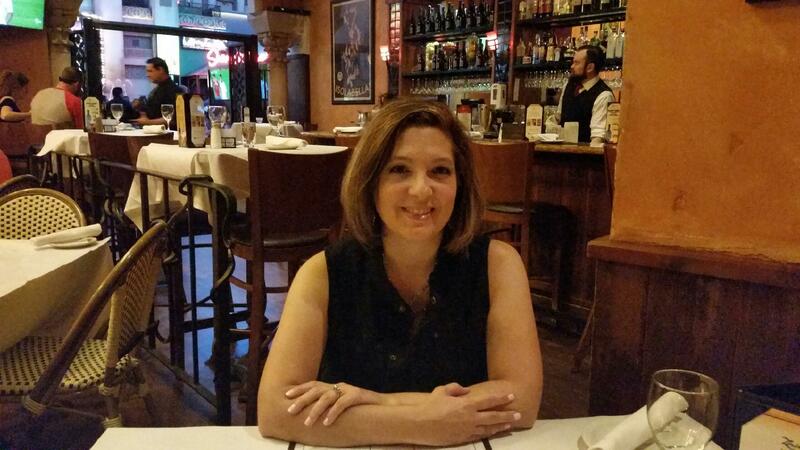 I am always trying to be more like my mom. It’s difficult, she has big shoes to fill. But last year when my son Alex told me he wanted to be a zombie, I jumped at the idea thinking I can make his costume this year! I can do this! Yes, how difficult can it be? So, I did what most moms do for inspiration these days…. jumped onto Pinterest. I found millions of ideas and DIY projects I really thought I could get into. Then one morning, my dreams were shattered. My son announced he wanted to be a Siberian Birch Tree! What? What about my ideas for ripped-up jeans, scattered with red and brown paint? The perfect zombie face I was going to paint on your face? You can’t do this to me now, I am so ready to bring the zombie to life! “No mommy, ” he says that’s boring. UGH!! The good thing is he finally came to his senses. 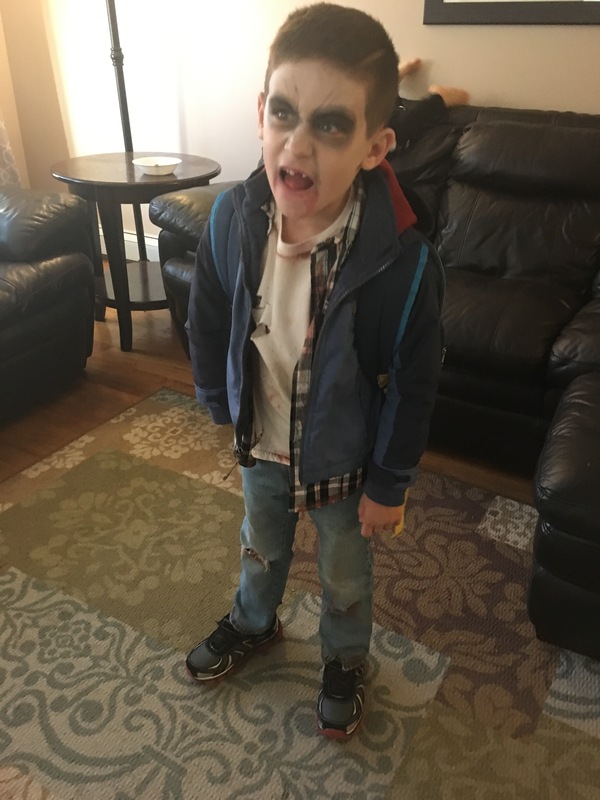 I am proud to say he was the best zombie in his school’s Halloween Parade. It’s safe to say that this year, we are going more traditional; I bought his costume from Amazon. 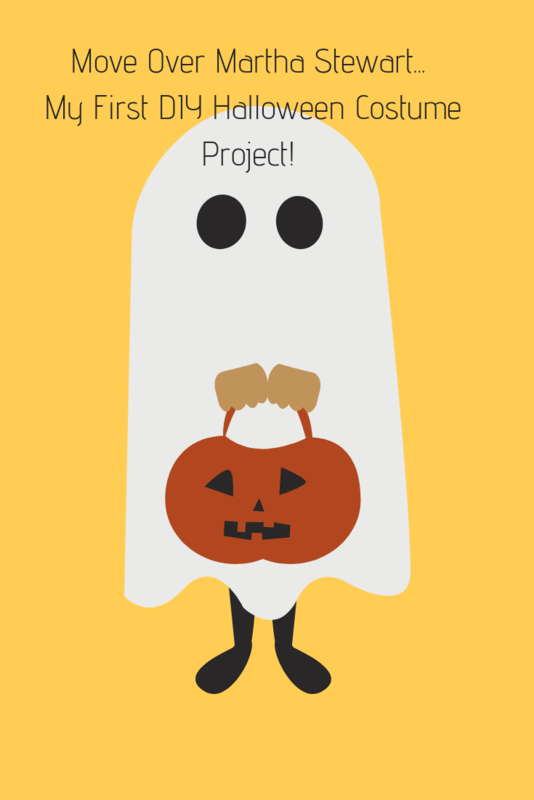 Have you ever made a costume for yourself or your children? How did it go? I can’t wait to hear all about it. Previous Post: « We’re Going To Disney! how I miss them so. Alex’s costume was great you did such a great job !!! Thank you. Yes, from what I can remember that was the only time she made our costumes. Yes they were both very special and I miss them everyday. Thank you Melissa! He really enjoyed being a Zombie!